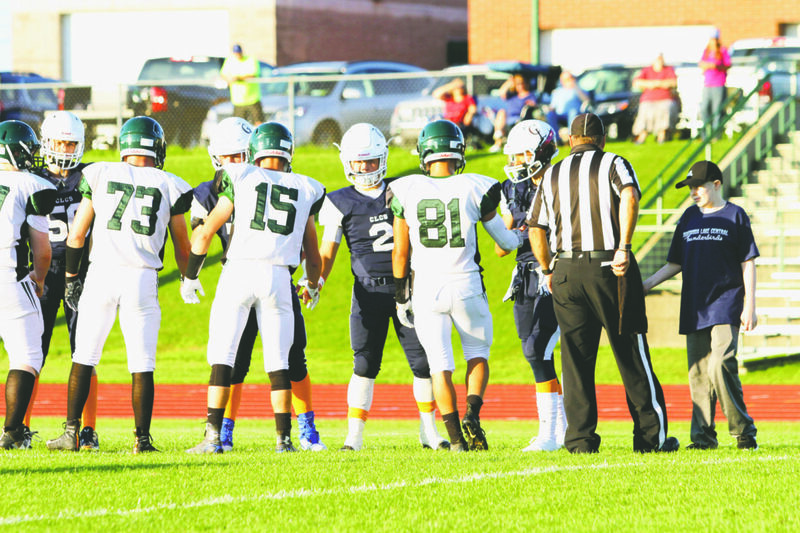 OBSERVER Photo by Lisa Monacelli Chuatauqua Lake/Westfield and Allegany-Limestone captains meet before the opening coin toss of Friday night’s game in Mayville. Pictured at far right is Drake McCain, a student battling leukemia, who was named as an honorary captain for the game. 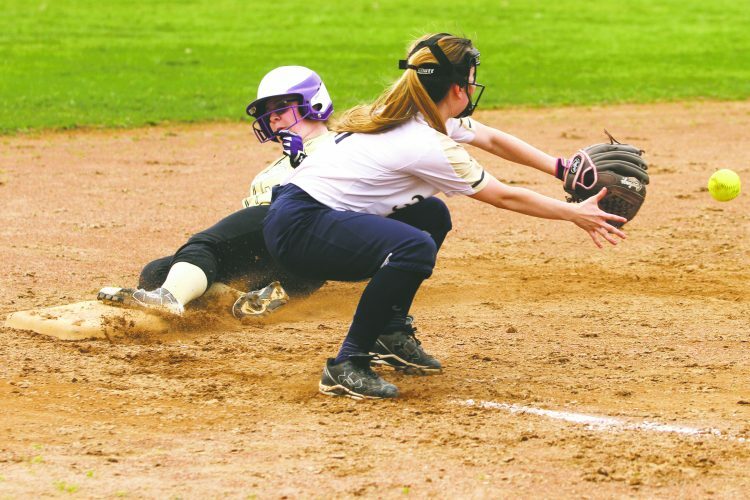 On Friday night, the Chautauqua Lake/Westfield Thunderbirds won its first game of the season under new head coach Curt Fischer, 18-7 over Allegany-Limestone. As sweet as that win was, the highlight of the night may have happened at the coin toss before the game. The Thunderbirds named Drake McCain (far right) as an honorary captain for Friday’s game in Mayville. McCain is currently battling leukemia, but he was still able to lead the team out on the field for the team’s season opener and take place in the coin toss.